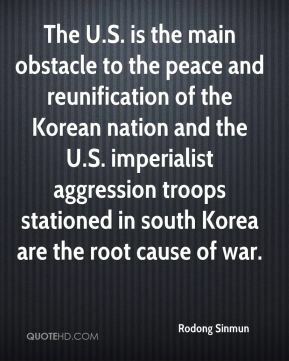 The U.S. is the main obstacle to the peace and reunification of the Korean nation and the U.S. imperialist aggression troops stationed in south Korea are the root cause of war. 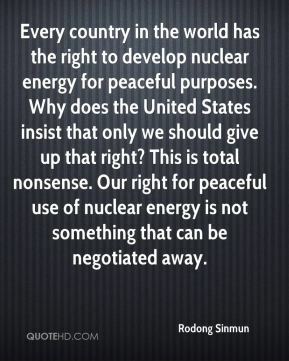 If the United States launches a surprise attack on our peaceful nuclear facilities, it will spark a full-scale war. 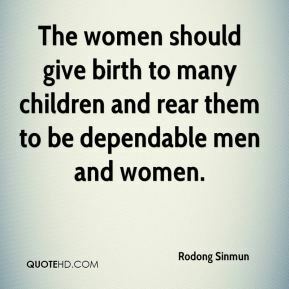 Any concession in the acute standoff with the US imperialists invites a ruin. 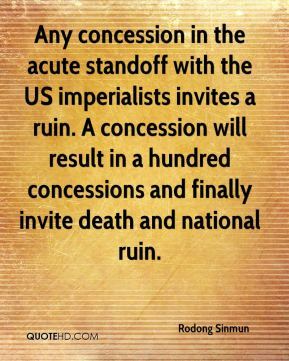 A concession will result in a hundred concessions and finally invite death and national ruin. 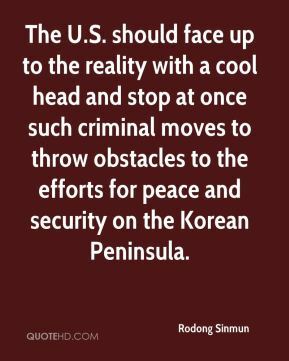 The U.S. should face up to the reality with a cool head and stop at once such criminal moves to throw obstacles to the efforts for peace and security on the Korean Peninsula. 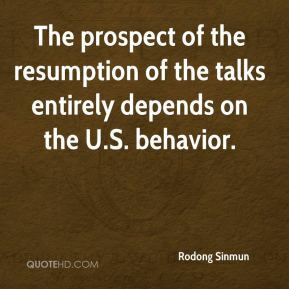 The prospect of the resumption of the talks entirely depends on the U.S. behavior. 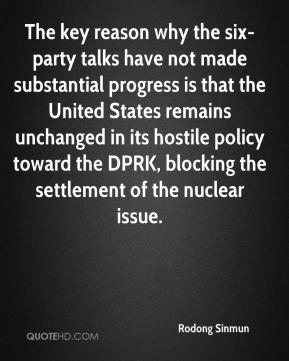 The key reason why the six-party talks have not made substantial progress is that the United States remains unchanged in its hostile policy toward the DPRK, blocking the settlement of the nuclear issue. 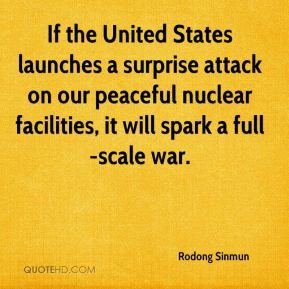 This is a declaration of war, a nuclear war against the DPRK. 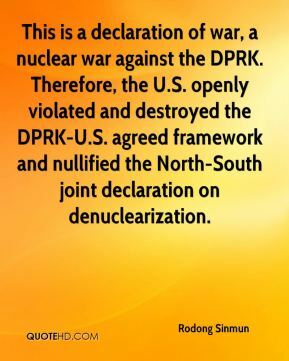 Therefore, the U.S. openly violated and destroyed the DPRK-U.S. agreed framework and nullified the North-South joint declaration on denuclearization.